They are fantastic! What a work of art. They make pixies almost believable. Those are pretty amazing! Some very creative artisans. 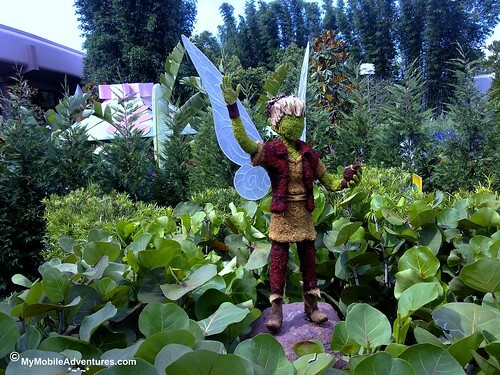 I agree about Disney fairies and about how well done these garden sculptures are. 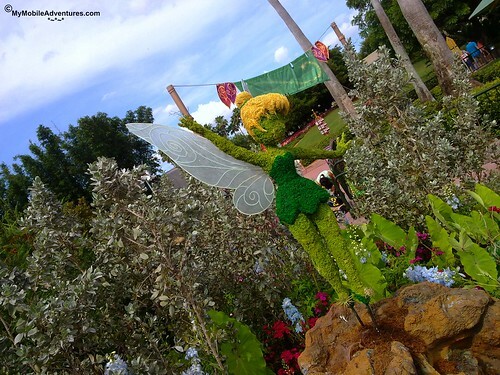 Wonderful capture of Disneys fairies! 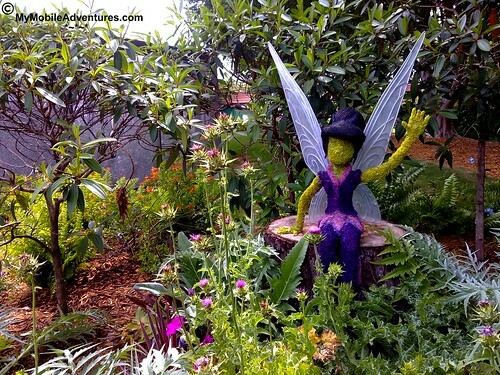 Very pretty garden sculptures. really beautiful. 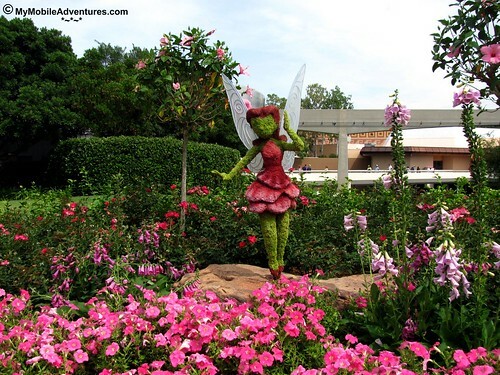 I am not a big fairy fan but those are gorgeous displays. TINKERBELL! I love her! 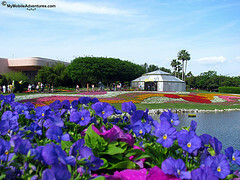 The flowers are all so preeeetty! Those are impressive! My kids keep looking at them over and over asking why haven’t we seen these before?? We always go to Disney in November, so we see Christmas decorations rather than flowers! Great pictures, now I don’t have to go there…teasing. 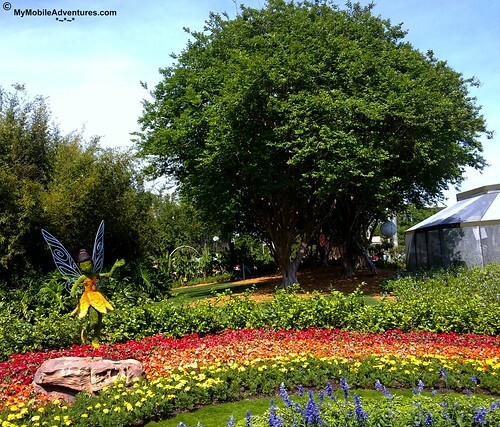 They are my absolute favorite – the fairies. Would have love to see them in person.